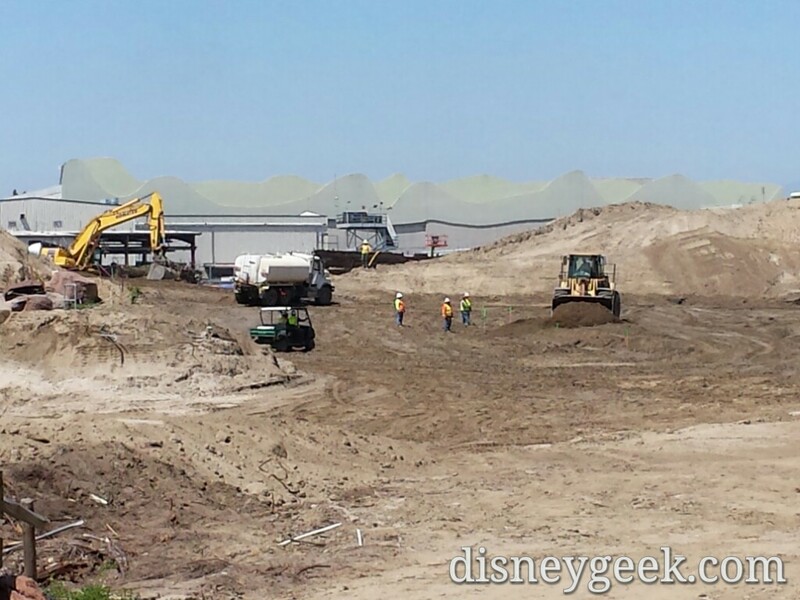 Since my last visit they have moved a lot of dirt around and cleared more backstage buildings. 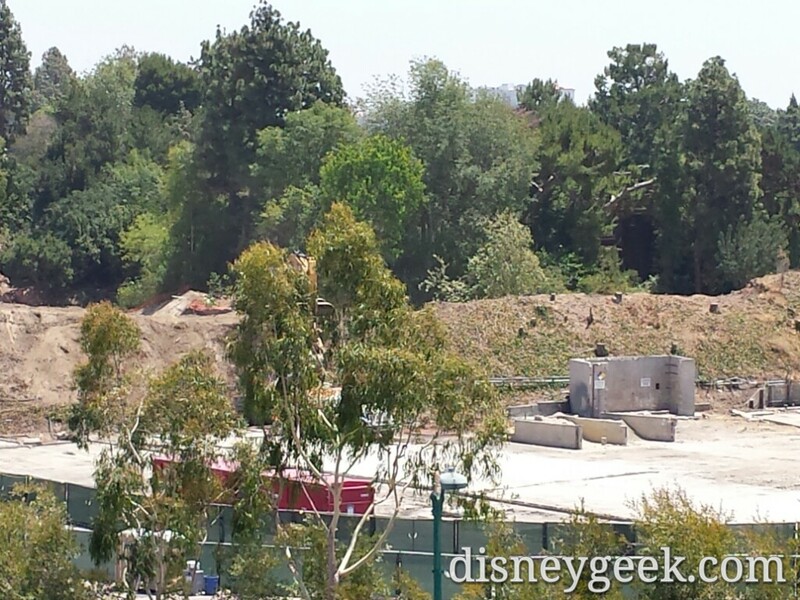 The building in the distance is the old sky way Fantasyland station. 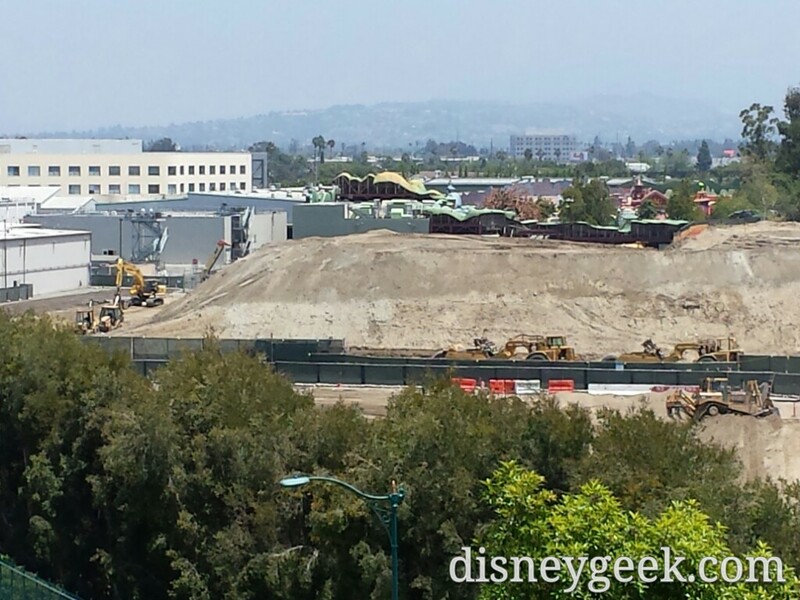 A large mound of dirt is on the former Circle D site. 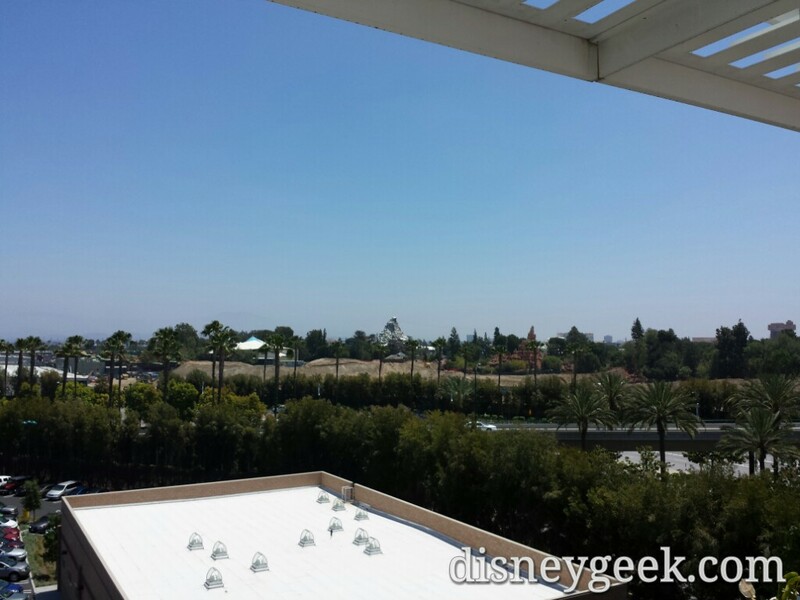 Panning to the right. 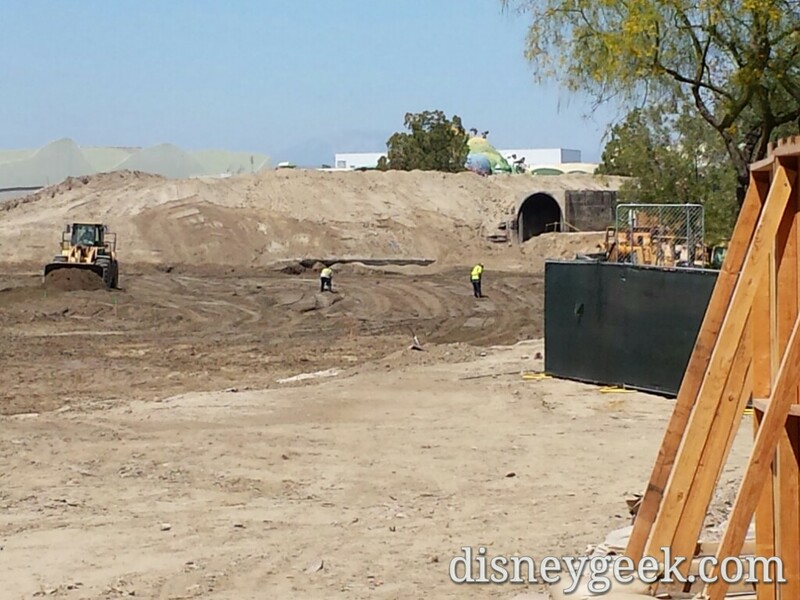 In the distance you can see both the original and later tunnel for the railroad. 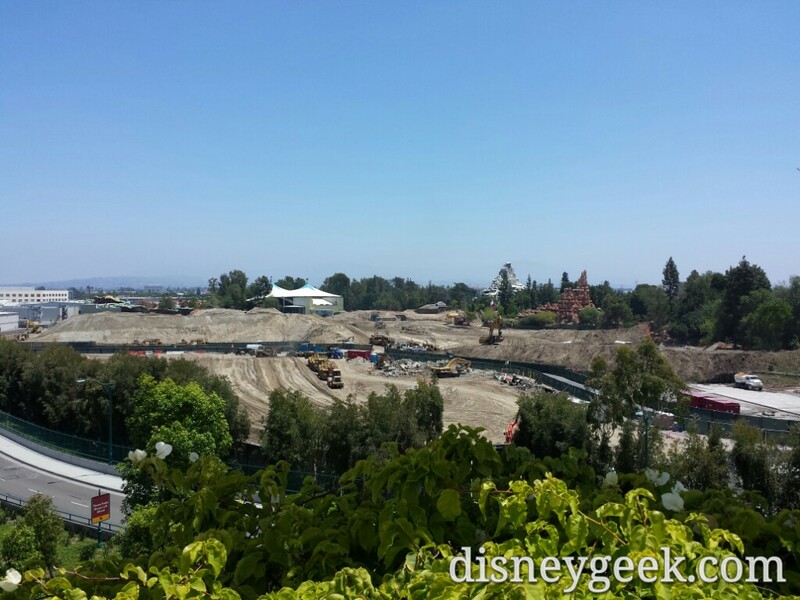 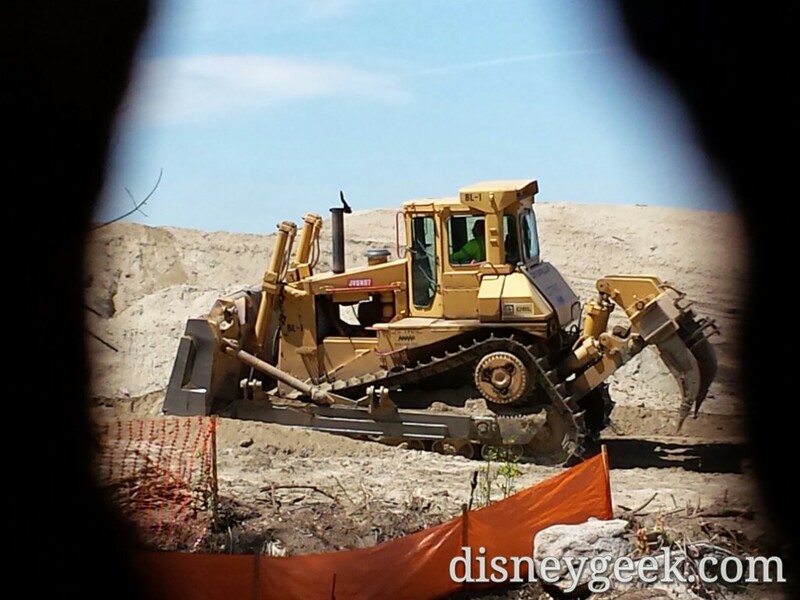 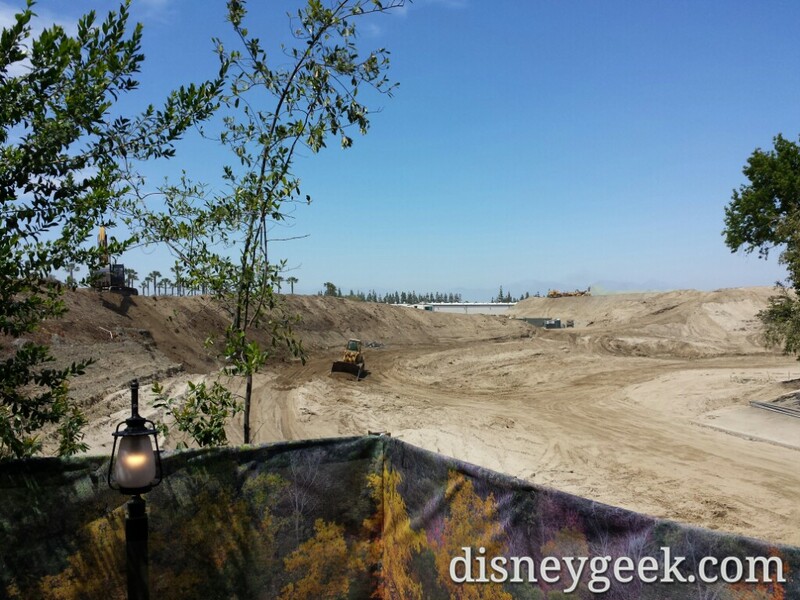 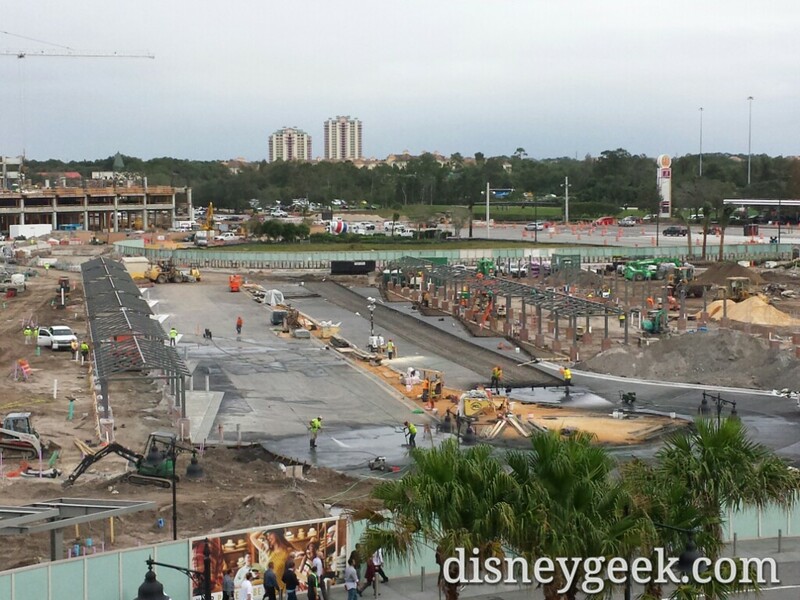 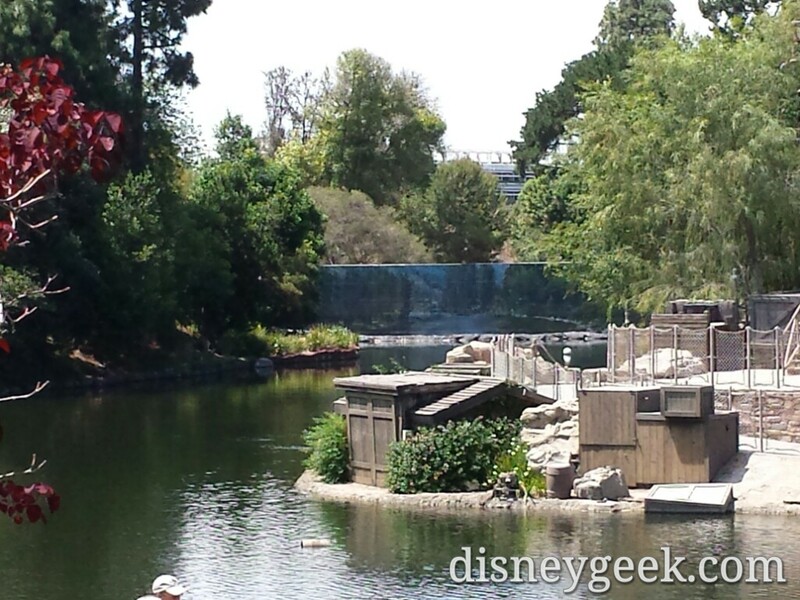 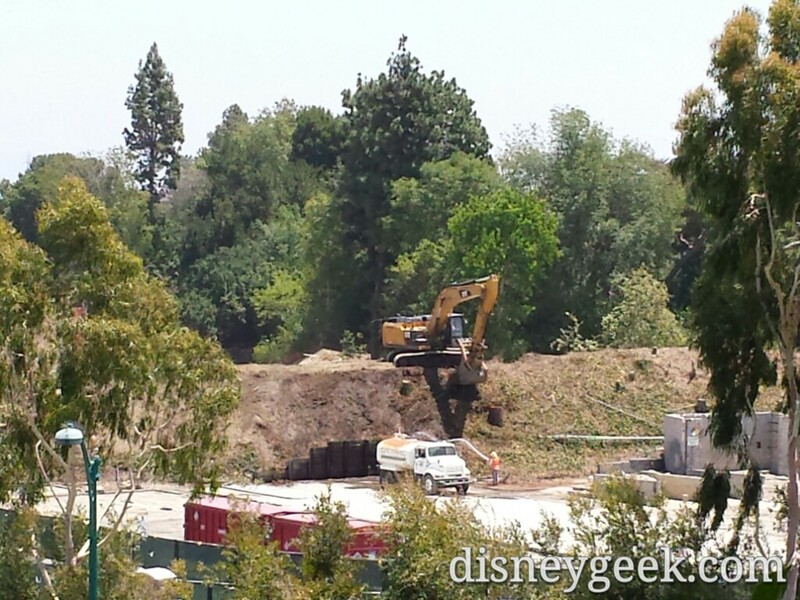 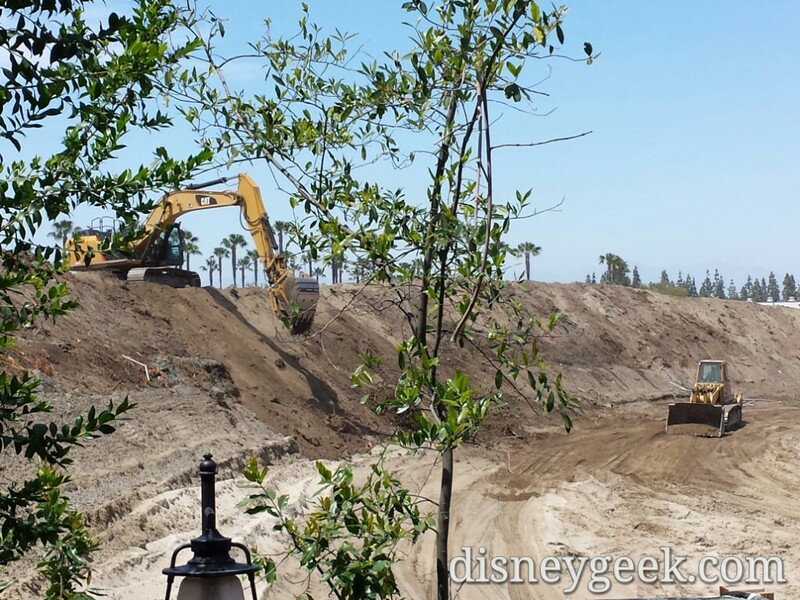 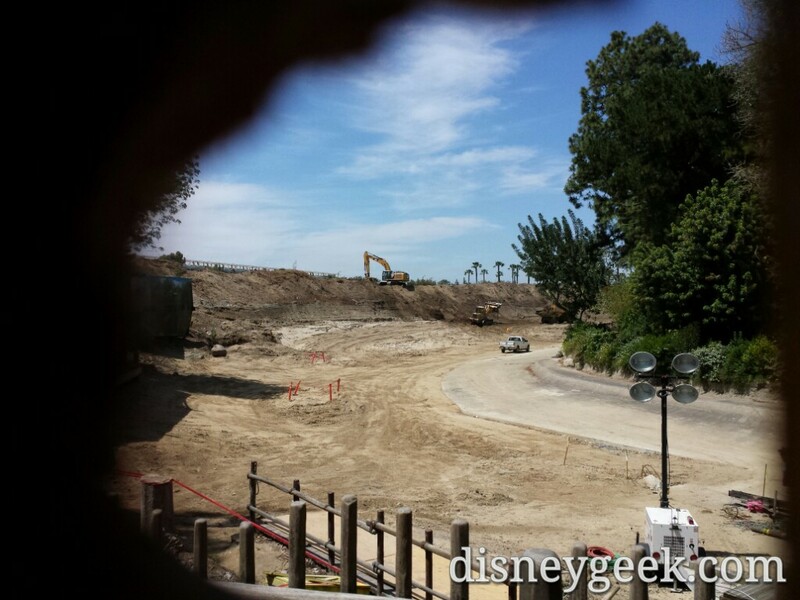 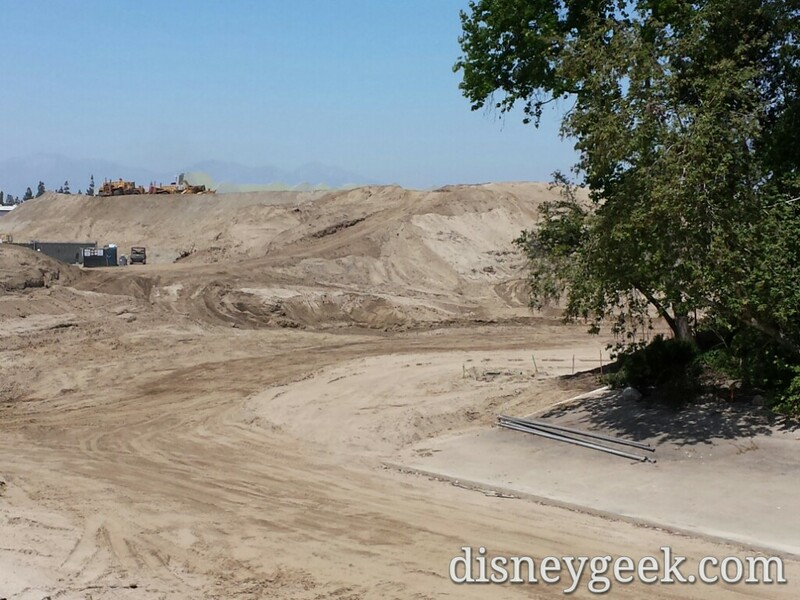 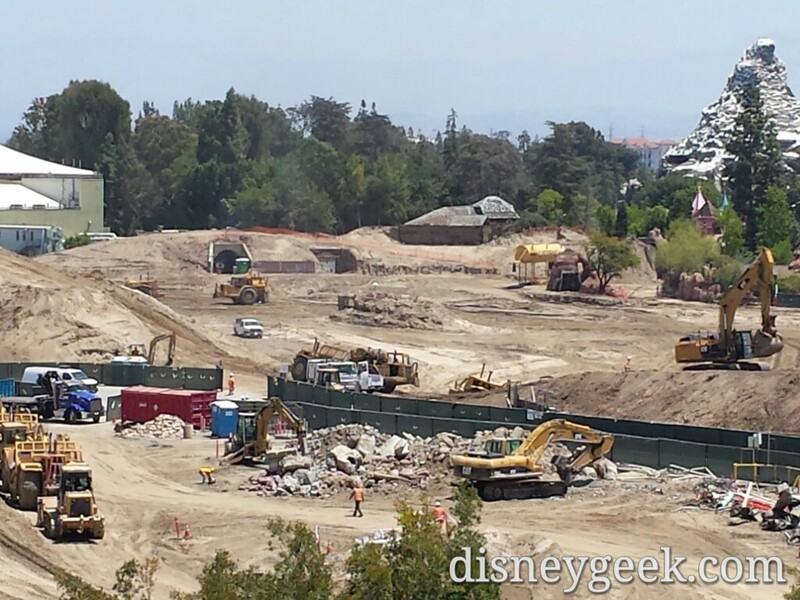 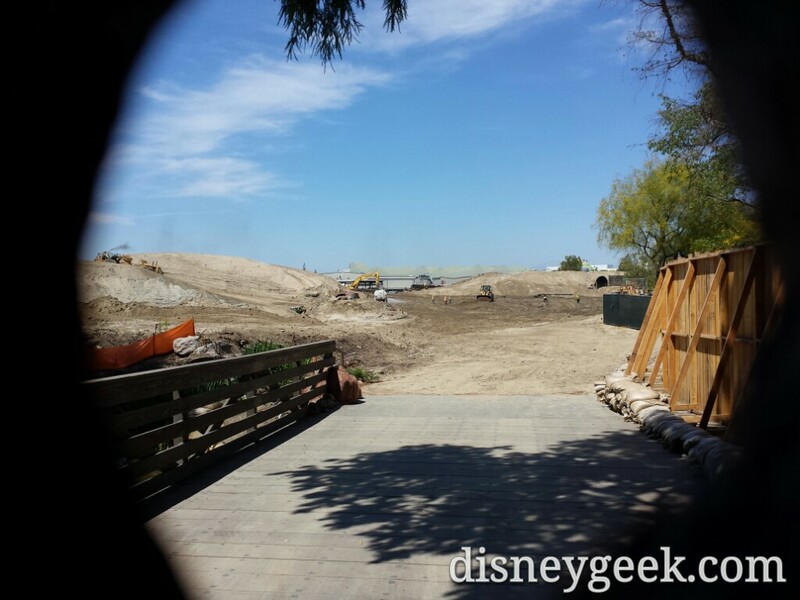 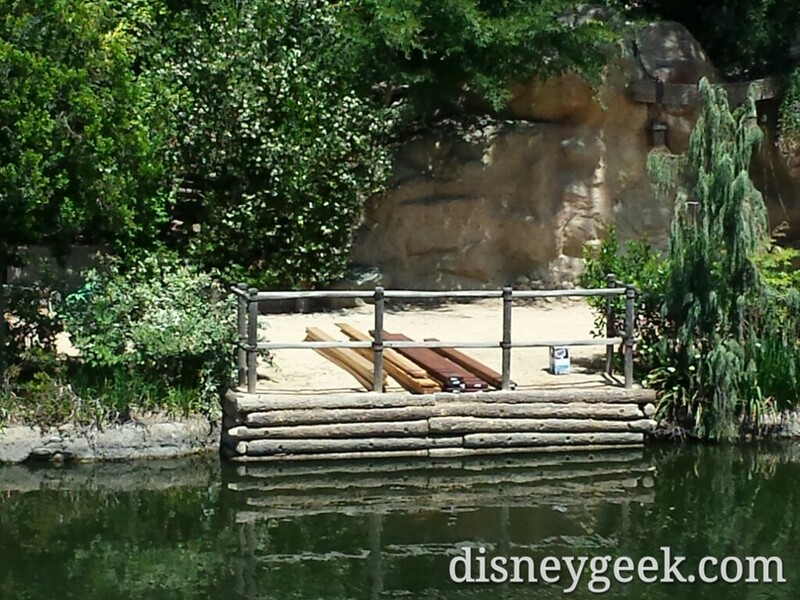 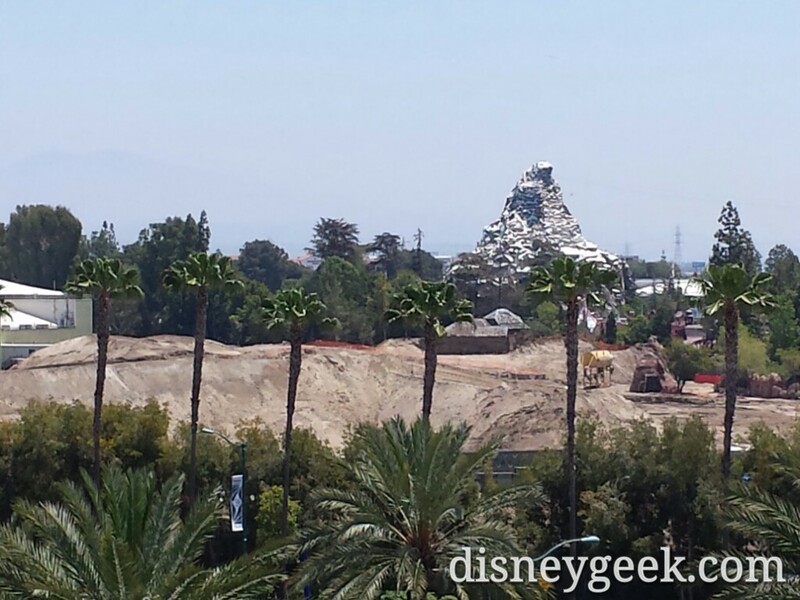 The backstage buildings on the right toward Critter Country have been removed. 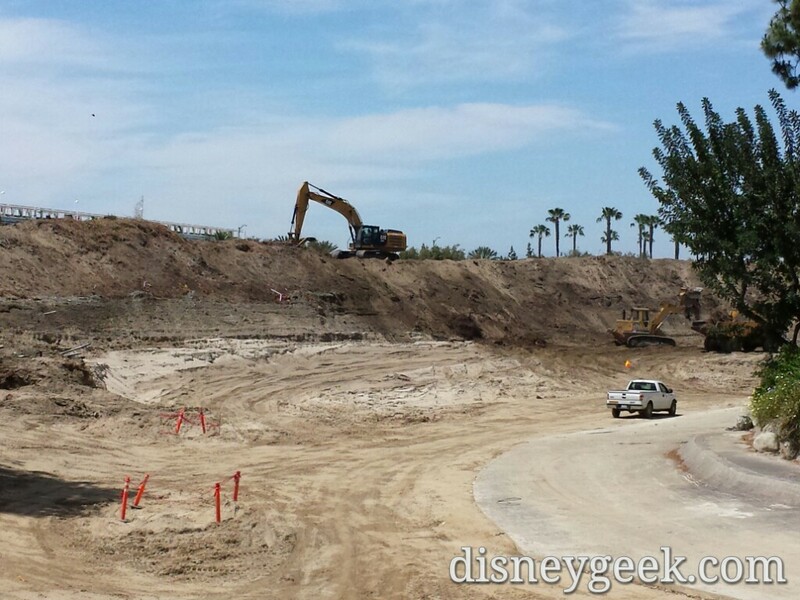 They were clearing the berm this afternoon. 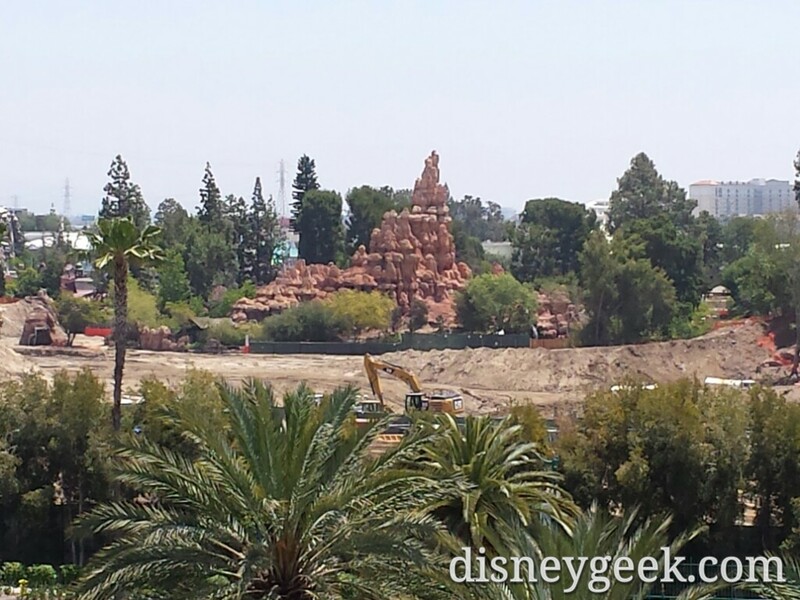 Moving into the park no real visible change from this angle. 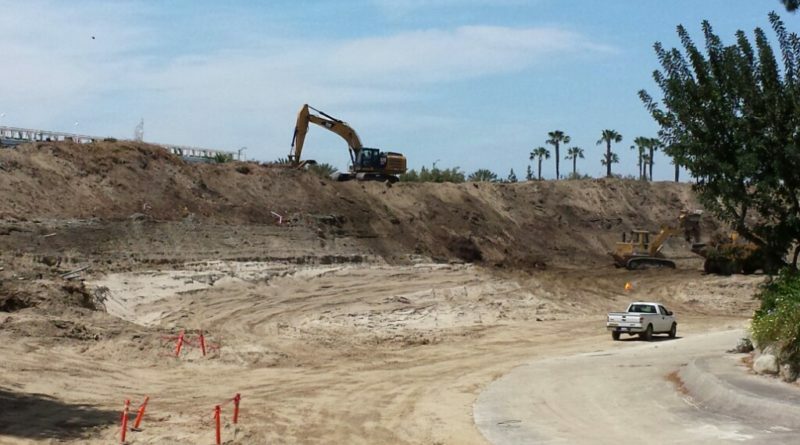 Some work starting on the island. 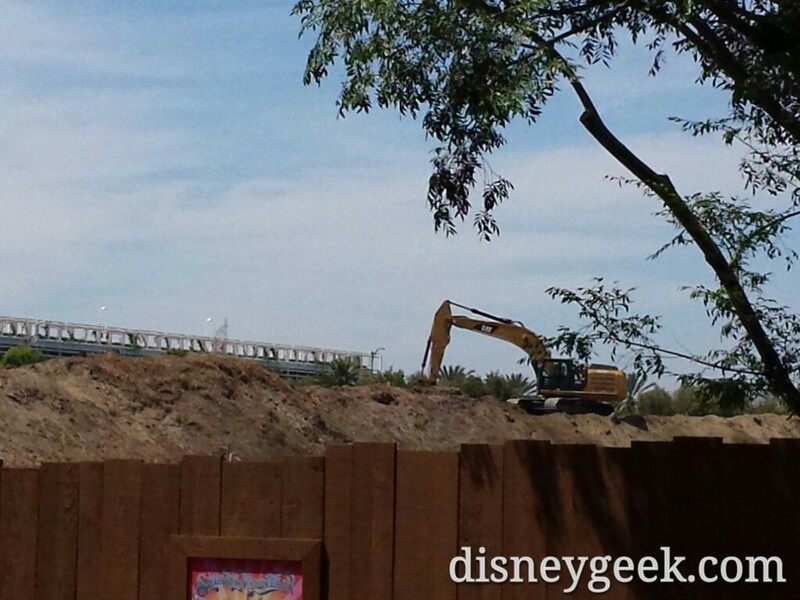 The new river curve appears to be taking shape.